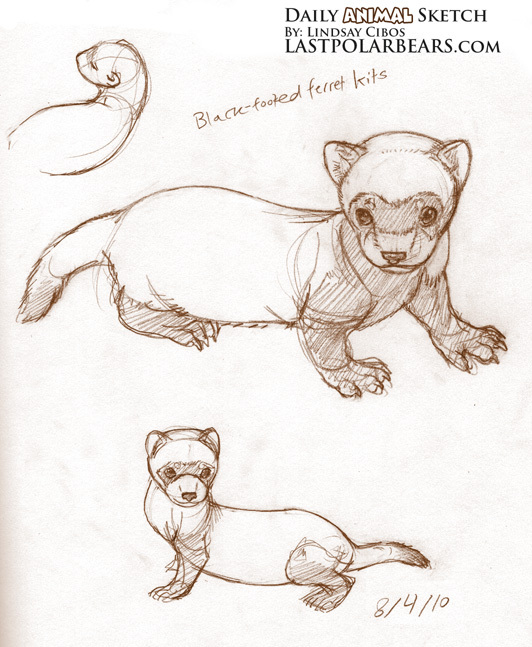 Studies of black-footed ferret kits. These cute little critters are the endangered wild relatives of the domestic ferret. Referenced from Smithsonian’s National Zoo photos. The ferret is one of my favorite animals. 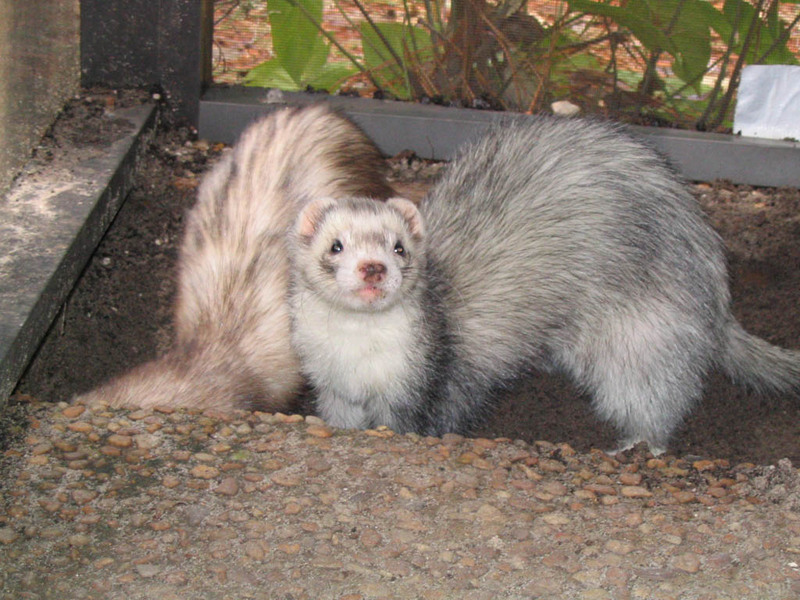 I used to share my home with two adorable ferrets–Momoko and Elf. Their crazy antics inspired me to create the three-volume graphic novel series Peach Fuzz , about a ferret with a princess-complex and a big imagination. When I do these daily animal sketches, my goal is to reproduce the animal’s features so that I can improve my grasp on the anatomy. In contrast, the ferrets in Peach Fuzz are very stylized, with three-clawed paws, streamlined bodies, and big eyes, to suit the comical tone of the story. The animals in The Last of the Polar Bears are also stylized, but to a much lesser degree, to fit the story’s more dramatic tone.